People who live long lives begin to yearn for things at some point in their lives, things that fulfill the human needs. For us, the aging population in Japan, who had good active lives, the desire for such things grow. We no longer want to clutter our lives with objects that titillate our senses, perhaps like McDonalds Happy Meal toys (sorry, McDonalds, I love you, but not the Happy Meal toys) or video games. We seek companionship from the things we possess. In buildings, we seek comfortable living, but sustainability and sense of making full use of things’ lives, as we hope our lives will be used, are so very important. 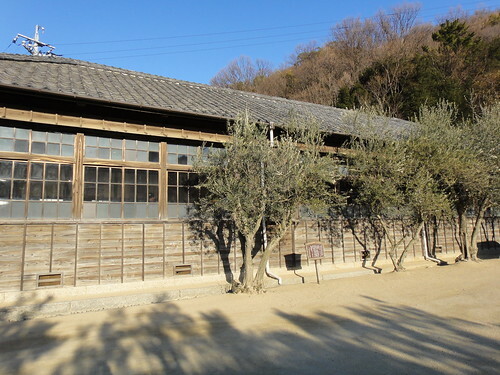 This is an old wooden school building located in Shodojima, Kagawa prefecture in Japan, built in 1902. It is know as Misaki-no-bunkyojo schoolhouse.Â It was last used as an elementary school in 1967. It is now a museum as a model school for a famous Japanese novel, “Nijyu Yon No Hitomi (Twenty-Four Eyes)” by Sakae Tsuboi. I also thought of “long lasting design”. I don’t think the apartment building my family has been living for the past 13 years will last 100 years except in bits and pieces. 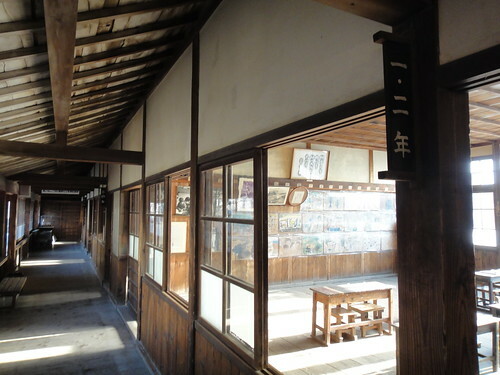 The Misaki-no-bunkyojo schoolhouse is mostly in its original woodwork. It looks as though it would easily last another 100 years with good maintenance. And why not? Horyuji in Nara prefecture is over 1300 years old.